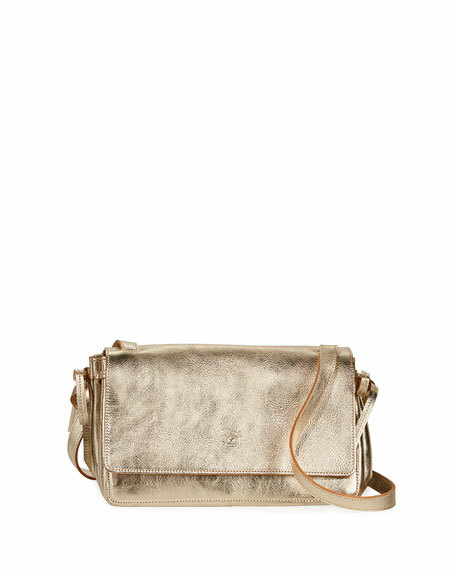 Il Bisonte distressed leather crossbody bag. Adjustable shoulder strap, 20" drop. Flap top with logo center; snap closure. Gathered sides secure at self-tie exterior. 7.3"H x 9.8"W x 5.1"D. Made in Italy. J.W. 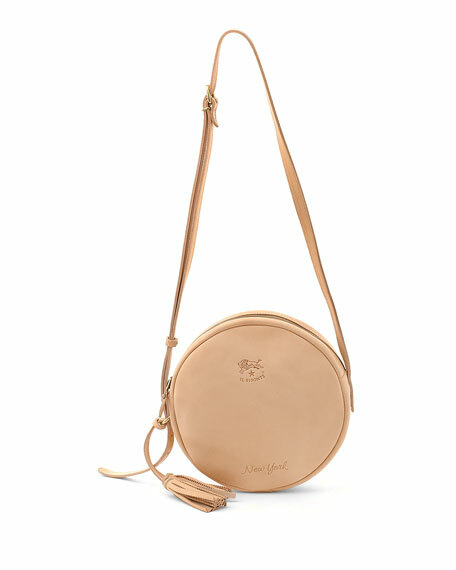 Anderson goatskin leather saddle bag. Adjustable flat shoulder strap, 25.6" drop. Flap top with ring latch. Embossed logo at back bottom. Divided interior; suede lining. One zip compartment. 7.9"H x 9.5"W x 3.9"D. Made in Spain.